Life can be filled with great experiences, fun memories, and loving moments you want to hold onto forever. Unfortunately, life isn’t all about sunshine and rainbows, there can be difficult moments where you’d rather give up on everything. Life can also be filled with grief, trauma, and depression. However, that doesn’t mean you shouldn’t continue putting one step in front of the other. If anything, trauma should encourage you to keep going and seek out someone to talk to who may understand what you’re going through. At Affinity Counseling, we’ll provide an individual fit to each person who comes to us. If you’re dealing with a traumatic event, then don’t keep it in. Come find the guidance and counseling you need to take those steps forward toward a hopeful future. Trauma counseling is a specific type of counseling geared to help those who have undergone a traumatic event. A traumatic event is categorized as a distressing situation where someone feels threatened psychologically, physically, and emotionally. Each person deals with trauma in a different way and each person who has had a traumatic event happen to them can get through it with the support of family, friends, and a strong guidance and counseling presence. Some might experience trauma for years after the event and others are able to bounce back with a stronger resolve and determination to move forward. Trauma counseling is geared to help those who have experienced a traumatic event and get the guidance and counseling they need to overcome the situation. You can deal with a traumatic event in several different ways that range from developing posttraumatic stress disorder, fostering deep pain, a fear instilled within you, and forming addictions to deal with the trauma of the event. People deal with trauma in different ways and we all deal with events in contrasting manners, but when you sign up for our counseling services, we’ll give you the tools you need for healthy coping skills as well as the guidance and counseling to connect with a healthy support system. Who Can Get Trauma Counseling? Trauma counseling is for those who need counseling services that are directed toward coping with a traumatic event. If you’ve been in war, a car accident, abused, neglected, sexually assault, a violent act occurred against you, a natural disaster, or a loved one died suddenly, then these are all traumatic events. 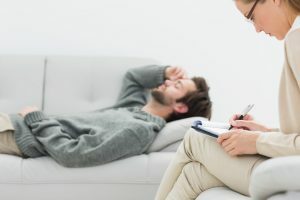 Those who can get trauma counseling are people who have experienced any of these events and who have felt threatened psychologically, emotionally, or physically and don’t know how to move forward in a healthy manner. When you’ve experienced a traumatic event it can be difficult to overcome, but it’s not impossible. When you’ve seen war or a loved one perish suddenly, you might not know how to move on or you feel guilty for moving on. If you’ve been raped and tried to block it from your mind or had a violent act occur against you, don’t give up hope. By being able to meet with someone to talk to, you can get the guidance and counseling you need to know how to slowly overcome a traumatic event. Our counseling services are not made as a one-size-fits-all method, we listen to you and hear what you need, so we can help to the best of our abilities.